This traditional semi-detached house with a very interesting design is situated in Sveti Lovrec, near the town of Labin. It is surrounded by greenery and is a true oasis of relaxation. The living room and kitchen are on the ground floor, while the bedrooms are located upstairs. Floors are connected with a spiral staircase. There is also an outdoor swimming pool, which brings refreshment on hot summer days. The area is ideal for walking or cycling on specially marked bicycle paths, which guide you through the surrounding villages and help you get to know the cultural customs and traditions. 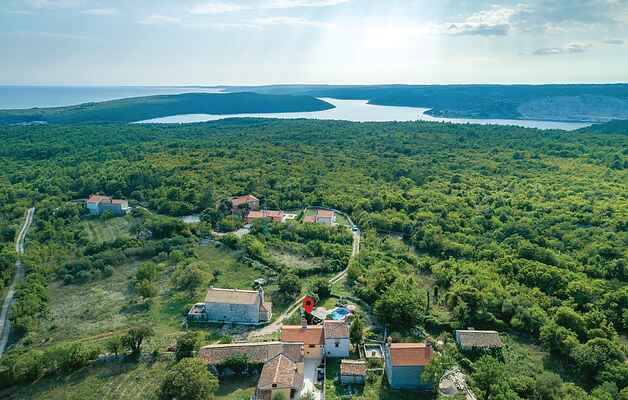 Be sure to visit the town of Labin and Rabac or mineral spring in Skitača.